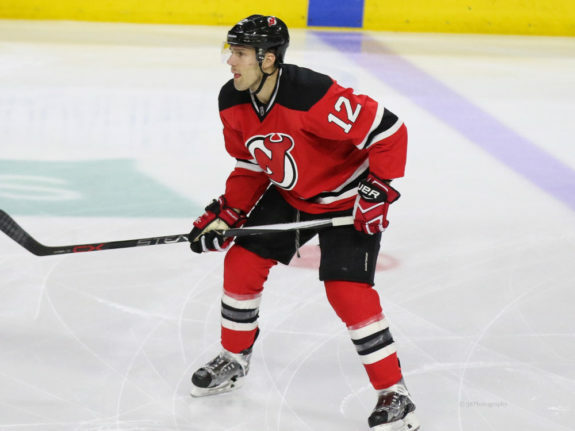 Can Devils Expect Schneider to Bounce Back? It was a tough season for the New Jersey Devils in 2016-17, not that it came as a big shock. Ray Shero’s team is rebuilding and is still a few seasons away from truly being a contender. However, what did surprise many was the poor play of starting goaltender Cory Schneider. Schneider posted a .908 save percentage and a 2.82-goals against average, both well below the type of stats we usually see from the star goaltender. Schneider has played at an elite level since joining New Jersey in 2013. With a subpar team in front of him for the entirety of his career with the Devils, that is no small feat. Unfortunately, Schneider was unable to perform up to his high standards last season and struggled throughout the campaign. So can the Devils expect a bounce back performance from their starting goalie next season? Yes, they can, and here are a few reasons to keep the faith. I have written articles over the past two weeks regarding who Ray Shero could add in both free agency and through expansion draft trades. Some of those names include Kevin Shattenkirk, Sami Vatanen, Jonas Brodin, and Karl Alzner. Regardless of how it happens, what can be counted on is Shero getting some quality defensemen in the offseason. It is past due for the defense to get a substantial upgrade, especially considering it has been a negative aspect of the Devils since Schneider arrived. Poor positioning and lack of foot speed certainly hurt the Devils’ defense, but their constant screening of Schneider is what truly undermined their goalie. Any fan that watched last season could probably give you a few examples of Devils defenders unintentionally screening their goalie. It was a pretty consistent occurrence. With better defenders playing in front him, Schneider will be screened less often and be given more support. There was also the clear mismanagement of some of the personnel on the back-end that hurt the Devils’ goalie. Having said that, I am still a supporter of John Hynes. At the very least, I need to see what he can do with a semi-skilled roster in order to properly judge his ability. But that does not save him from all criticism. Dalton Prout and Ben Lovejoy receiving a healthy amount of minutes for no apparent reason made no sense. Lovejoy even had a higher average time on ice than Damon Severson (! ), the Devils’ best defenseman! Hynes should have given Severson and Steven Santini more minutes. It was a clear mistake and his team paid for it. We’ll see how Hynes plays any new additions next year and how he handles his defense, but there is room for improvement and he has got to be better. This one should be easier to picture next season. Devils fans have already seen the likes of John Quenneville, Joe Blandisi, and Pavel Zacha make good strides last season. Then you have Mike McLeod, who tore up the OHL playoffs and may have been the fastest skater in the league this past season, on his way up. Don’t forget the Devils also have the number-one pick, which will either be Nico Hischier or Nolan Patrick. The Hockey Writers’ staff mocked the first 15 picks and has the Devils going with Patrick. Whoever it ends up being, both players should be available to start in the NHL next season. Those are five players that will have bigger roles and take on more minutes next year, which will be a big improvement from what the Devils had last year. More speed and skill up front will take pressure off the defense, which will take pressure off of Schneider, a luxury he did not enjoy all of last season. The age of athletes is always under a magnifying glass in this day and age. Can they still play at a high level? How many years do they have left? Are they starting to decline? These are all questions that are asked of star athletes as they age. Schneider is now 31 years old and that may lead some to think there is cause for concern with his play. Naysayers will argue last season was the start of a downward trend with him. I do not agree with this notion. The former Vancouver Canuck has played nine seasons in the NHL but has played in more than 50 games only three times. 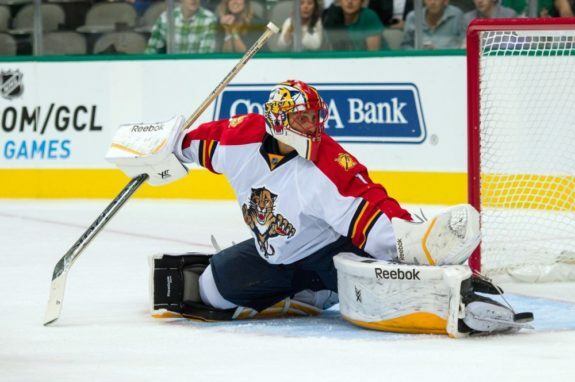 Schneider was goalie 1B to Roberto Luongo’s 1A in Vancouver, which works out better for the Devils. There is considerably less mileage on Schneider than if he were the starter for the Canucks from day one. Another point in Schneider’s favor is that there are older goalies still playing at a high level. Henrik Lundqvist, at 35, and Roberto Luongo, at 37, are still playing very well and have shown only small signs of decline. Pekka Rinne, at 34, is another example of an older goaltender who can still perform, as he was a big part of the Nashville Predators’ Stanley Cup run. All signs point to a bounce-back year for Schneider and I don’t think he’ll disappoint.